In the second episode of throwback movie, I want to bring up again What Maisie Knew because for me, this movie didn't have enough attention in the premiere year so why not now? This movie is an excellent one, it is clearly underrated. 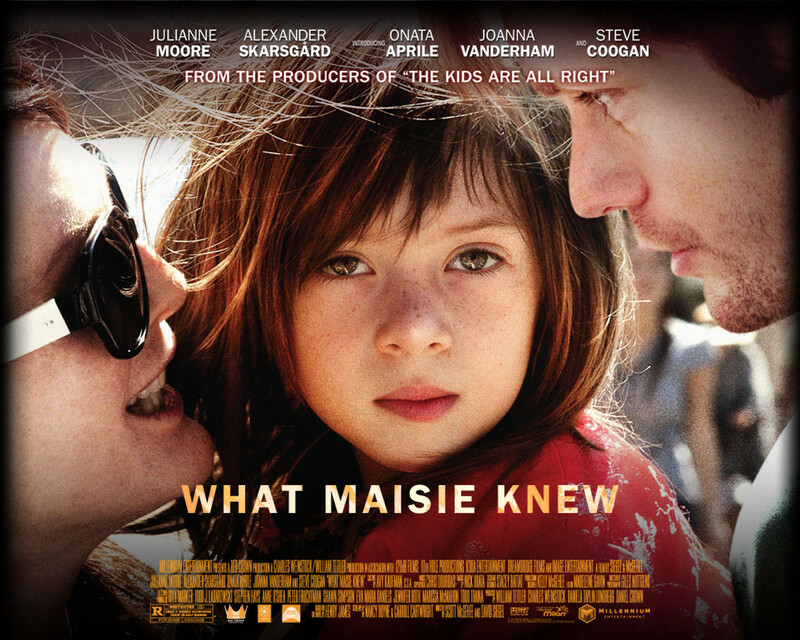 What Maisie Knew is one of those movies which you can see from any point of view you want to see. It is completely a movie about reality of marriage, divorce, children and life - basically. This is about how man and woman tried to share custody, how their children became a victim of situation, how other people, completely strangers, became the real parents. 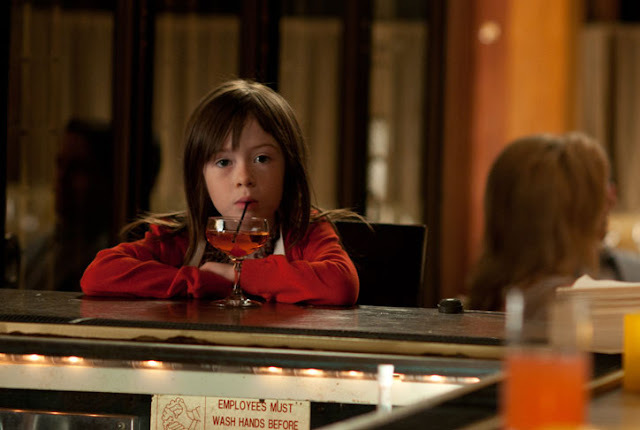 Maisie, played by the talented Onata Aprile, is one of those unfortunate kids who has to learn her parents' situation. 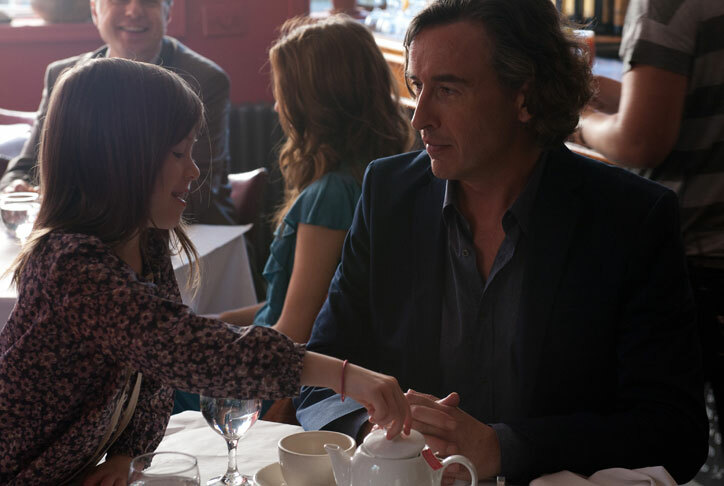 The situation which her Mom, Susanna (Julianne Moore) and her Dad, Beale (Steve Coogan) are fighting all the time, acting like they fight for her sake but in reality, they are just two people with high level of egoistic and ambitions. 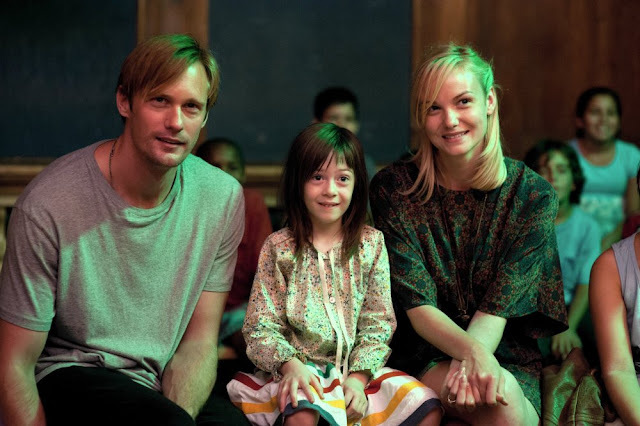 The irresponsibility of some parents really shown in this movie and somehow, we feel it through Maisie's eyes. The focus is from Maisie's perspective but at the same time, we also can see it from any perspectives. The story is somehow so irritating by how annoying her parents are. We feel so angry at them but then, when we see Maisie, we feel calmer and less care about the chaotic situation because Maisie sees things differently. 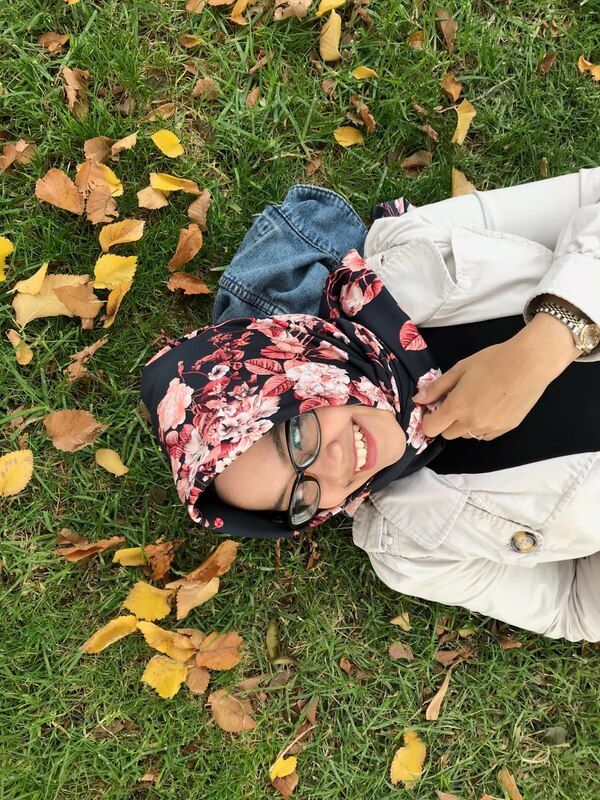 She always believes goodness in people. That her Mom is good, so does her Dad. It is so easy to fall in love with Maisie. 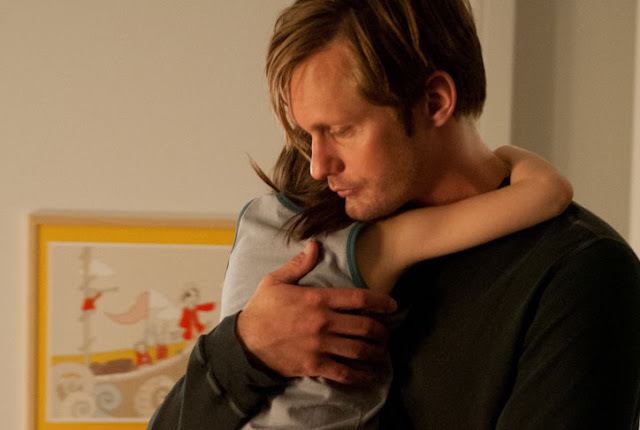 It is also fairly easy to fall in love with Lincoln, played by Alexander Skarsgård who suddenly happens to be Maisie's new step Dad. He is super tall, handsome and young. Susanna once said to Maisie, she married her for him. Do we believe? No. Do we agree with Lincoln's presence? Yes. Even if there is a wedding, Susanna and Lincoln marriage is not for real. They both obviously don't love each other, they look like two friends hanging out. Not even good friends because Susanna is ordering him around and Lincoln is just do whatever she asks. He is my favourite character after Maisie. Why? Because he obviously better parent figure for Maisie. He talks softly and gently, taking care of him although maybe that's what he and Susanna dealt of, we never knew. The relationship of Maisie and Lincoln is so beautiful! Maisie doesn't trust him at first because come on, he's a random guy who just showed up at her school, picked her up and said that he is her new step father. But as the time goes, as Lincoln tries to make bond with her, Maisie trusts him as much as she trusts her parents. Another character that certainly makes us feel happier for Maisie is Margo (Joanna Vanderham) her nanny and also, her step mother. The story is so complicated but also so real and relatable! Like it is so usual for a Dad has an affair with his kid's nanny. It is terrifying but also we have to admit that that's true in real life. Margo is so kind, sweet and loving girl. She loves Maisie, we even see her nurturing her like her own child and it makes us happy. Even when we find out she has an affair with Beale, we 're not entirely mad at her. 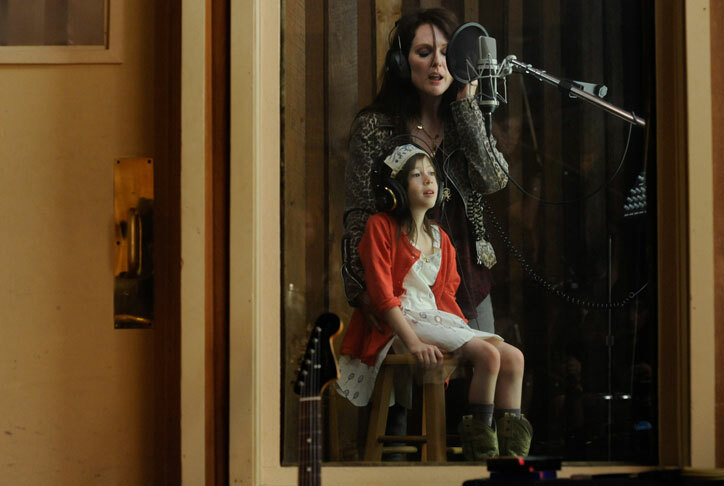 Because we see mother figure on her, more than Susanna does. Although of course, we can't approve it. The lesson that really gets me is you don't have to be the biological parent to be a parent. Susanna and Beale maybe love Maisie but they don't know how to take care of her. On the other side, strangers can become better parents that people who claimed themselves parents. We all agree that Lincoln is better father than Beale, although he is so much younger than him, has no experience in parenthood but he has heart to do what he has to do. We also, somehow, at some point, agree that Margo is better mother than Susanna. This movie is sad at the beginning but we get our happy ending, the story is beautiful, the acting of each actor is amazing. I wish this movie could be longer so we can get into the point where we feel drown to the story. Overall, I love this movie. I really recommend this movie for those who like family, drama kinda story.